When we finally upgraded our Rails application to v5, plans were put in place to take advantage of its WebSockets capabilities. Locally on development machines, things seem to chug along smoothly until it all broke down on our staging stack. * EC2 instance + ELB + custom security group… etc. I didn’t think the set up was anything out of the ordinary per se. 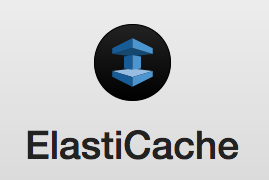 The only exception is probably my choice of using ElastiCache instead of having an EC2 server running our own Redis instance (or having it hosted at Redis Labs or something). But other than that, it’s pretty vanilla. It still didn’t quite work. Obviously we need to specify in Rails that our Staging subdomain, along with its https protocol should be allowed. So we added that to our Rails /config/environments/staging.rb file. Once we squared that away, we were still left with that dreadful error on line #4 above. Somehow, the $http_upgrade variable in Nginx is simply not being set despite browser’s request. As it turns out, WebSocket traffic isn’t quite HTTP/HTTPS. The devil is in the details of the AWS ELB (load balancer). OMFG. WHAT ELSE IS WRONG NOW??!! As it turns out, the devil, again, is in the details. This time, it’s in AWS Security Groups. For example, you can’t change master username once an instance has been spawned, not even on an instance restored from a snapshot. 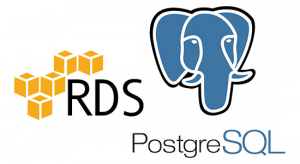 You are now connected to database "postgres" as user "james_holden". McAfee’s AntiMalware product can be a real resource hog for some people. Fortunately there’s a way to simply disable it via the command line. It can then be easily re-enabled the same way. If you find yourself having to integrate an Ember CLI front-end with a Devise driven Rails backend, this is the tutorial for you to checkout. Archived PDF version of the tutorial in case the blog disappears or the site goes down for any reason. 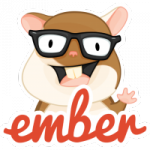 While googling for some syntax on Ember.js, I came across this incredibly helpful list of “lessons learned” from Landon Noss aptly named “Things I wish someone had told me when I was learning Ember.js“. He documented 28 tips learned from the battlefield. I love lists like that: Concise lessons distilled down to digestible bullet points, enough for others to go through the same troubles and speed up the learning curve. Kudos to Landon for the awesome list. Just in case the article, the link or the site disappears, here’s a PDF version I generated for safekeeping. One of RubyMine’s strongest features is its debugging tool. But it’s always been finicky to get it working for me. I finally got it to work since upgrading to Ruby 2.1.x. The situation was complicated by Ruby 2.x not yet supported by debugger gem… etc. Here’s a PDF backup of the article just in case the site or URL goes blind. You can’t be too safe! Mac OSX Yosemite became publicly available today. Since my Mac is in-between projects, I decided to take a chance and upgrade. Pow stopped working. But luckily someone figured out a way to fix it. Postgres 9.3.5 refused to start. After digging through the logs, it appeared that it was looking for directories that weren’t there. Again, the tech community to rescue. And finally, one of my favorite apps, TotalFinder, was declared by Yosemite as incompatible. Fortunately TotalFinder’s maker already had a working beta on their website. Other than those 3 things, pretty much everything else has worked as-is out of the box. I enjoy the crisp look of the fonts and icons in the new OS. And hopefully nothing crazy will happen going forward. Chef is a great tool. I really love it. But to take full advantage of it, you need a Chef server (either build one yourself or have it hosted with Opscode (which we did at my last job). For small businesses and/or personal server(s) of very small scale (I’d suggest up to 3 to 5 servers at most), a nifty tool like LittleChef can really be quite useful. But if servers you manage ever grows more than a handful, I’d highly recommend hosted service like Chef to keep your sanity.